In 2001, Patek Philippe SA, under Thierry Stern, opened a museum in Geneva; looking back, I suppose the only surprise is that it had taken them so long. The firm started by Antoine Norbert de Patek and Jean-Adrien Philippe in 1839 took over a building belonging to Les Ateliers Reunis, a casemaker they had used, to house their dual collections of both antique watches stemming from the the 16th to 19th centuries and their own watches. I visited the museum in January, during my pre-SIHH trip to Geneva with fellow #watchnerds @Horologium and @InitialJH. It’s an astonishing place: if you ignore, for one moment, the many thousands of Patek Philippe watches that are displayed and were only to spend time looking at the collection of antique clocks and watches, you could easily fill an entire afternoon. The museum charges 10CHF to enter, but photos are, unfortunately, not allowed. However, earlier this year, Patek Philippe announced that it would be transporting around 400 objects, including antique watches and examples of their own models and movements, to London. The Watch Art Grand Exhibition is temporarily housed within Chelsea’s Saatchi Gallery, just off Sloane Square. 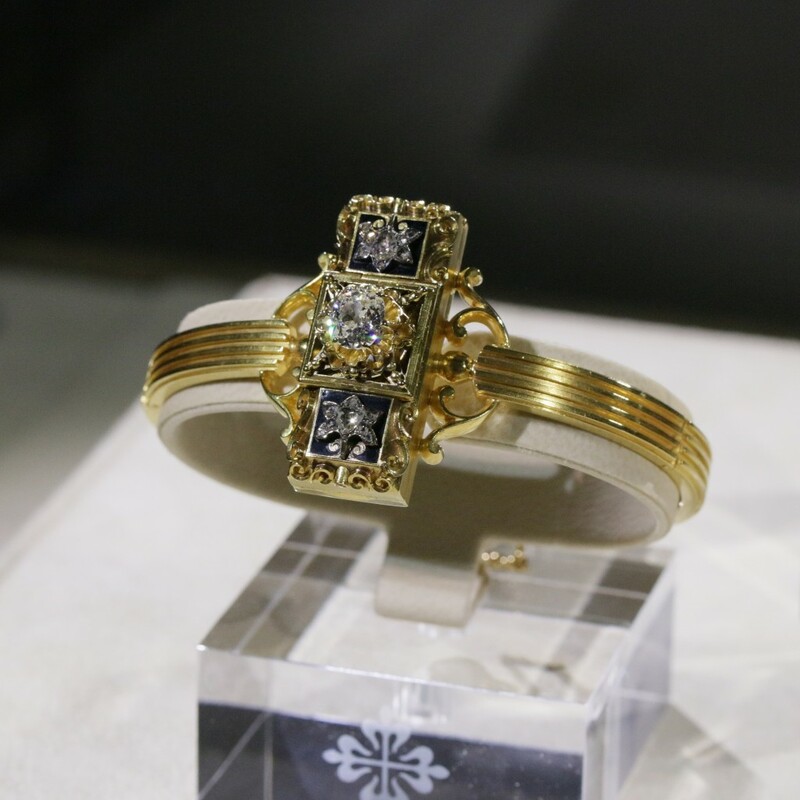 Spread over approximately 2,000 SqM and 21 rooms, the exhibition includes the “the first Swiss wristwatch**”. The watch dial is not exposed, but lies hidden under it’s outer case of gold and diamond. 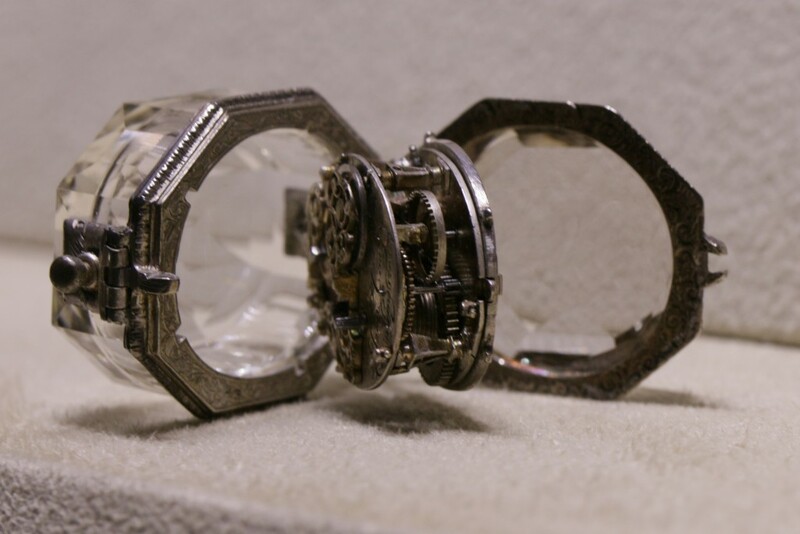 It’s obviously a beautiful piece of jewellery in its own right, but it would have been nice to have seen the watch itself. As an aside, I’ve recently taken steps to join both the BHI and the AHS with the express intention of studying early British wristwatches. The movement in the oval watch below is signed Henricus Mott in / Drury Lane. As with the movement above, this is also without hairspring, but with calendar. 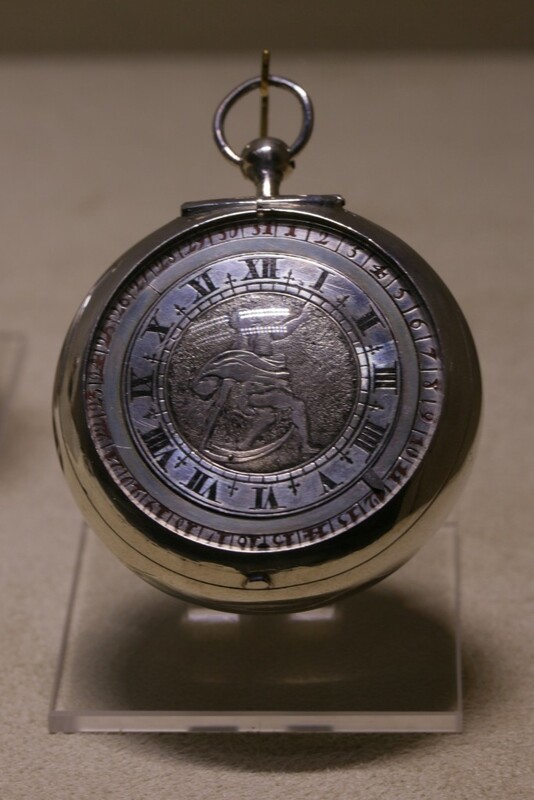 The figure of the Titan Chronos, champleve on a mobile disc, indicates the time with his finger. The watch dates from a similar time as the Charlton watch, and it’s wonderful to see a complication that has become so normal to us, represented in such an artistic manner. I also liked this oval-shaped watch by Henricus Jones, London (c1675). The verge escapement with hairspring (and a screw regulator after Nathaniel Barrow). Just like the telescoping hands of Parmigiani‘s Ovale Pantographe, or indeed, the so-called “Lazy Tongs” watch that’s also in the exhibition (item S0116 by William Anthony), the minute hand follows the oval dial by extending. 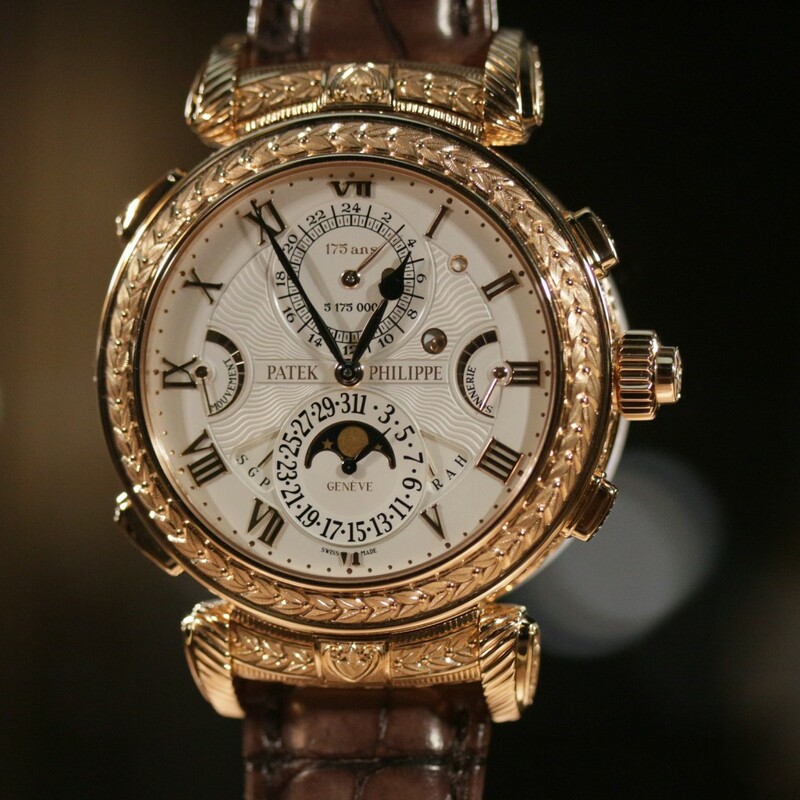 Of course, there are also watches from Patek Philippe, including the Grandmaster Chime. I saw this watch in Geneva earlier this year, but this is the first time I’d managed to take a photo of it. The watch really is extraordinary. I won’t list out the history of the piece, it’s price, or the phenomenal list of complications. Suffice it to say, it’s the closest that almost all of us are likely to get to this astoundingly complicated and slightly overwrought creation. I will write more fully about some of the other pieces in the exhibition, and, in particular, the Patek Philippe movements that are displayed in such an innovative manner, at a later date. I’d advise you to visit if you can. Watch Art runs until June 7th. An app can be downloaded in advance (and may allow you to plan your visit more effectively), but there are free audio guides in the gallery, and a complementary catalogue at the end. Patek’s supreme generosity is our gain. **Note Swiss. 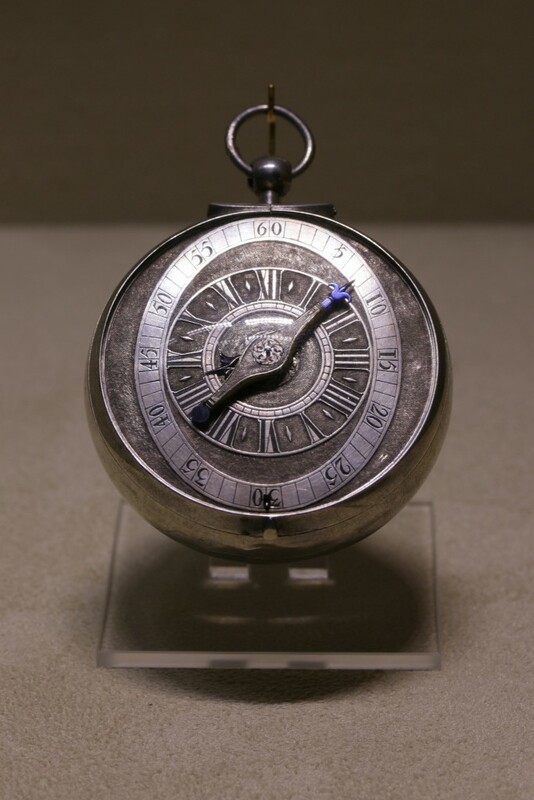 According to Breguet, there is documentary evidence of a commission from the Queen of Naples on June 8th 1810, for the first wristwatch, the Breguet Nº 2639. Thank you for taking a photo of the Comtesse’s watch to share with me and for being a part of that visit to the Patek Museum in January. The inability to take photographs pains me, so thank you for sharing some (hopefully more) of yours from this exhibition. I wish that I was a little nearer and could visit it. These are relatively low quality compared to the ones I’ll post later. There’s an entire section of Watch Art devoted to movements, and I managed to take a few photos that might be quite interesting. As usual, I messed things up: the Lazy Tongs photos were rubbish, and I appear to have missed the Graves.